I have probably been more active in New Eden than my posting would indicate. 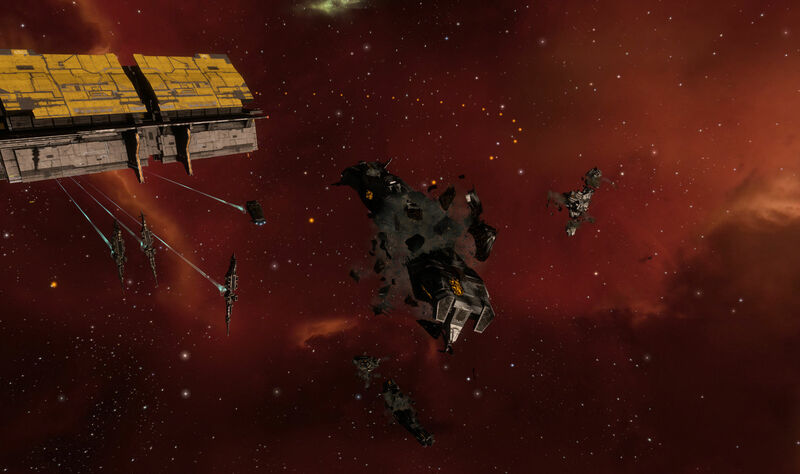 I’ve been out with Liberty Squad, which is one of the Imperium groups that has deployed out the east of null sec to tangle with Pandemic Horde and its allied. The thing is, a lot of ops do not really have much to report. We go out and reinforce a structure. Sometimes we get to kill one, like that Athanor a couple of weeks back. That was mildly interesting because it was mid-frack, so we go to see the moon chunk disappear. But an op to reinforce a structure, or even to blow up something small, that doesn’t always yield a tale worth telling. Meanwhile, I don’t hear enough about the strategic picture to make much of a comment on that either. I get a sense that things are not going well for PH over in The Kavala Expanse region, where the ADMs are low and almost all of the ihubs have either been destroyed or are reinforced. My alliance, TNT, even took the TCU in A-YB15 after destroying the ihub, probably just for fun. 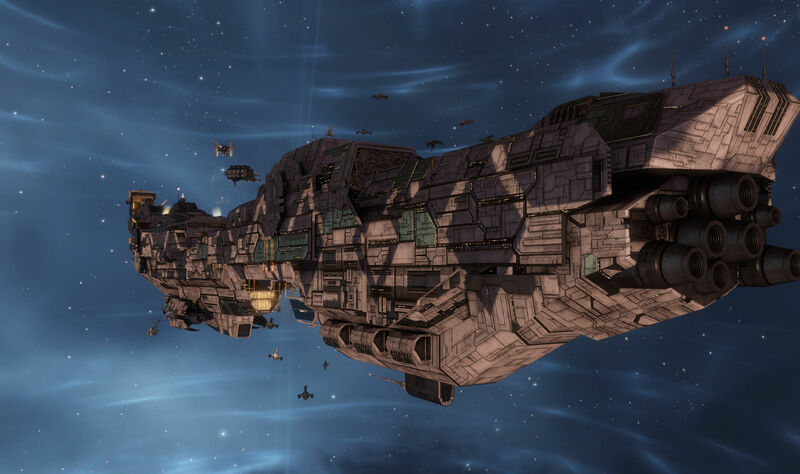 The TCU declares ownership of the system, puts the alliance name on the map, but it is the ihub that upgrades a null sec system to make it livable and useful. Meanwhile, we have to go pretty far into PH space to find Ansiblex jump gates to knock out. We caught that one down in RQOO-U and blew it up, snapping another connection. 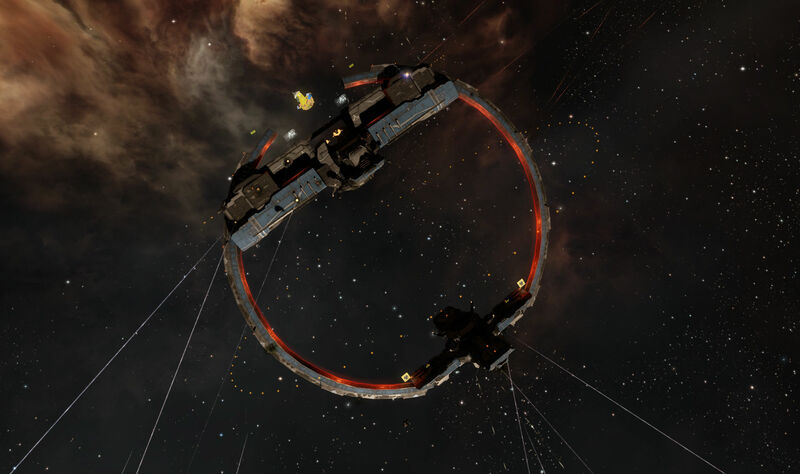 We had to dodge bombs coming from the Fortizar near which it was anchored, but that wasn’t enough to deter us… or even keep those of us in the logi wing very busy. Not that there haven’t been fights. I’ve heard tale of them. But I seem to have spent most of the month missing the ops where the locals show up. I know they are around. 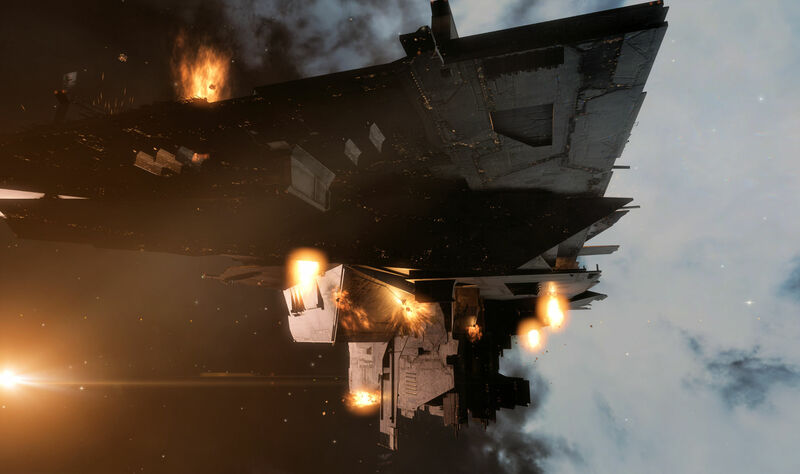 We got a peek at them last week when we slipped in with some bombers to get on the killmail for a Triumvirate Fortizar that was unwisely hanging about in a war zone without an allies about. We had initially tried to bomb the Pandemic Horde fleet coming in to the shoot, but managed only to bomb a couple of our own. My bomb, launched a bit late, got a solo kill on a blue capsule. I don’t feel bad though. Black Ops bombed us the other day when we were both going after the same target. It happens. And somebody learned not to MWD ahead of the pack on a bomb run that day. Anyway, after a lot of quiet ops over the last couple of weeks, it was nice to show up yesterday and have some ships at which to shoot. It started with us forming up and flying out in Eagles again. We sat on a titan for a bit. Then we were bridged into Erstet, in low sec Metropolis, where NCDot was assailing a friendly Azbel with a few dreadnoughts supported by a Minokawa force auxiliary. We went after the dreads, hitting a Phoenix first. 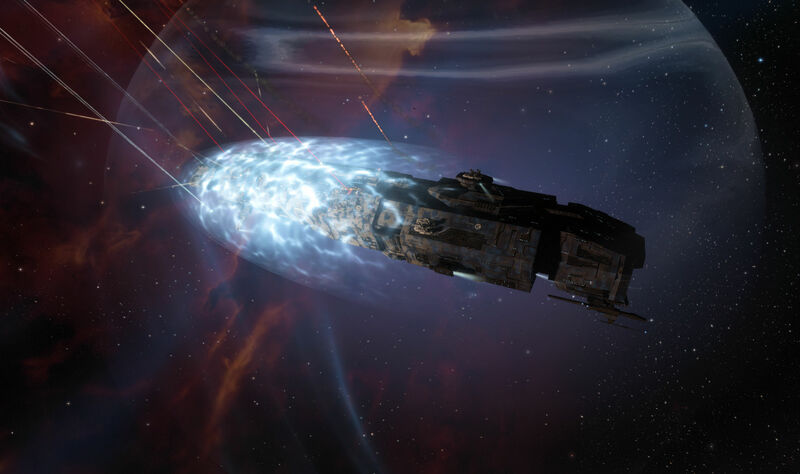 However, we were not able to out pace the Minokawa and its ability to rep, so a couple of dreadnoughts from out side were called up and jumped in, after which we managed… after much struggle… to deploy a cyno inhibitor on the field in order to keep NCDot from reinforcing their structure bash. The extra firepower turned the tide and the Azbel was saved. We exchanged a few subcaps for a Revelation, two Phoenixes, and the Minokawa force auxiliary, the wrecks of which stayed on the field. We had to hang about a bit after that. This took place in low sec, where things are complicated. Our way back home was through high sec, so we had to wait out suspect timers. This wait was extended because some of us in the logi wing had combat drones handy and got on a couple of the kill mails. However, if you rep or cap boost somebody with a suspect timer then you too get the suspect timer, and we were all in Basilisks running a capacitor chain, so it became a self-refreshing round of suspect timers until somebody mentioned we would have to go through high sec, at which point we dropped the chain and tethered on the Azbel to wait out the 15 minutes. Emboldened by our successful op, Thomas Lear, who was leading us, flew us off to another structure to reinforce it. Pandemic Horde gave chase with an Ishtar fleet, trying to get around us to cut us off and, if intel is to be believed, ended up with us sitting between them and home. Finding themselves cut off instead, they then decided not to engage, docked up, and jump cloned back to their staging, leaving their ships parked for another day. I cannot speak to the truth of that, but it does sound like an odd move. There are other ways in and out of their space, as we were soon to learn. After reinforcing another PH structure, Thomas decided that we would go deeper into their space and reinforce one more before calling it a night. 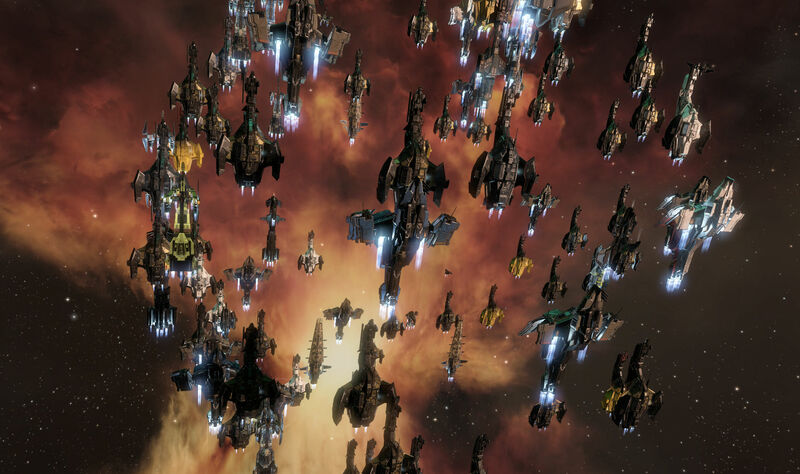 I have no idea what we were going to shoot though, because when we arrived in the system a Black Legion Munnin fleet, led by Elo Knight. We were apparently not going to take that fight and spent the next hour trying to break contact with them and eventually flying the long way around south through the Great Wildlands and Metropolis before arriving back at our staging system once more. And so it goes. We made it back home again, and were out long enough to earn ourselves a second PAP. 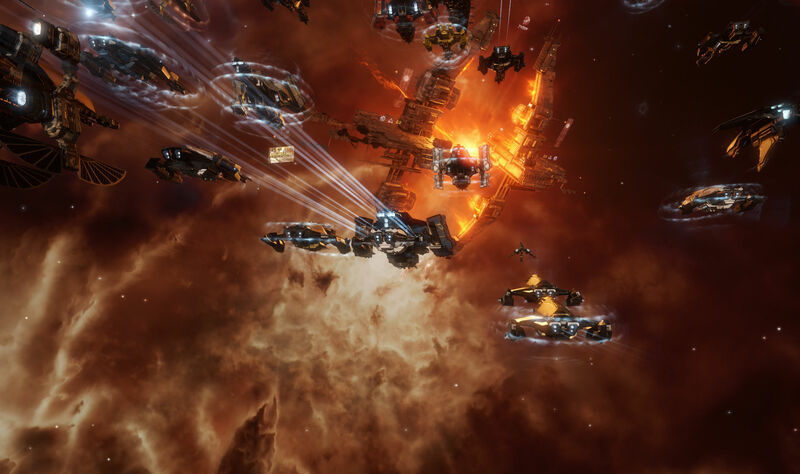 But I still have managed to avoid anything akin to an actual fleet fight for over a month now. 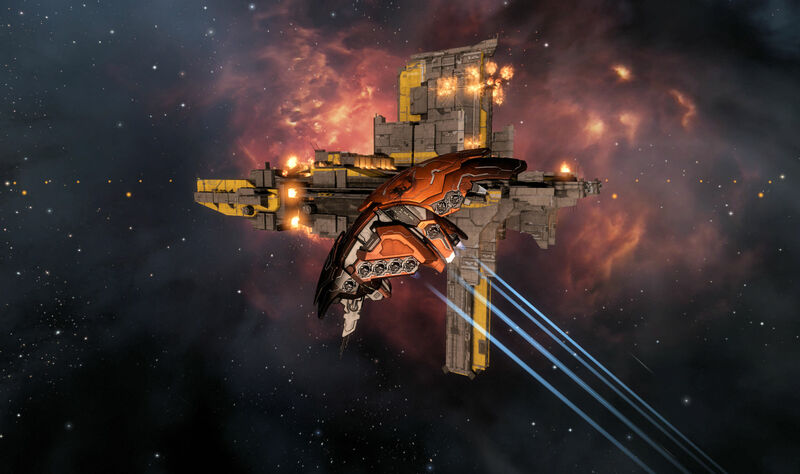 This entry was posted in entertainment, EVE Online, Null Sec and tagged Black Legion, Elo Knight, Liberty Squad, Pandemic Horde, The Kalevala Expanse, Thomas Lear on January 28, 2019 by Wilhelm Arcturus.